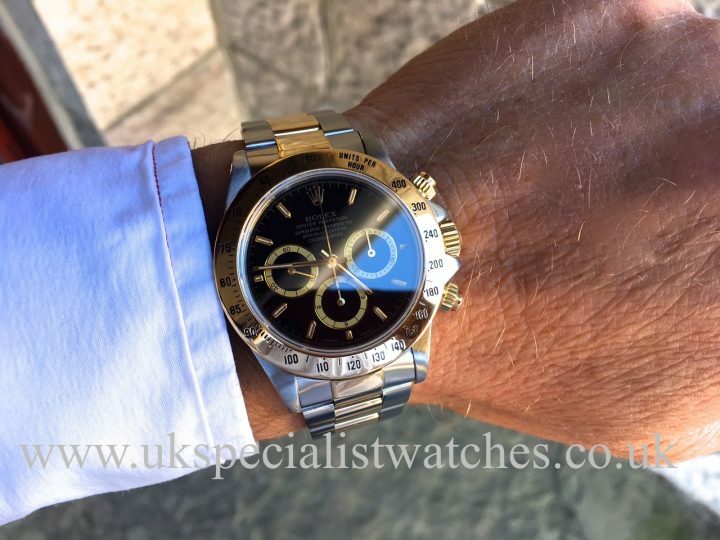 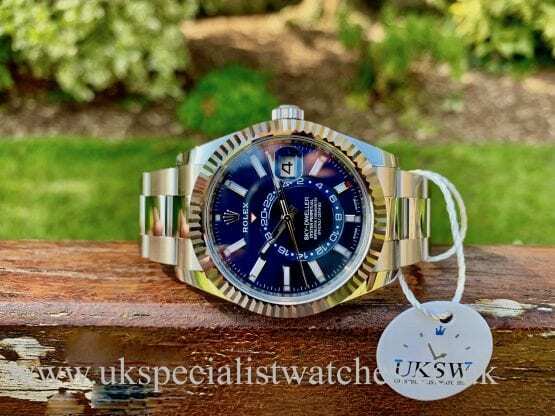 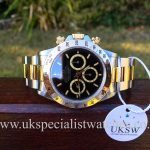 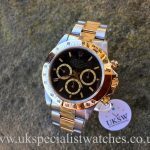 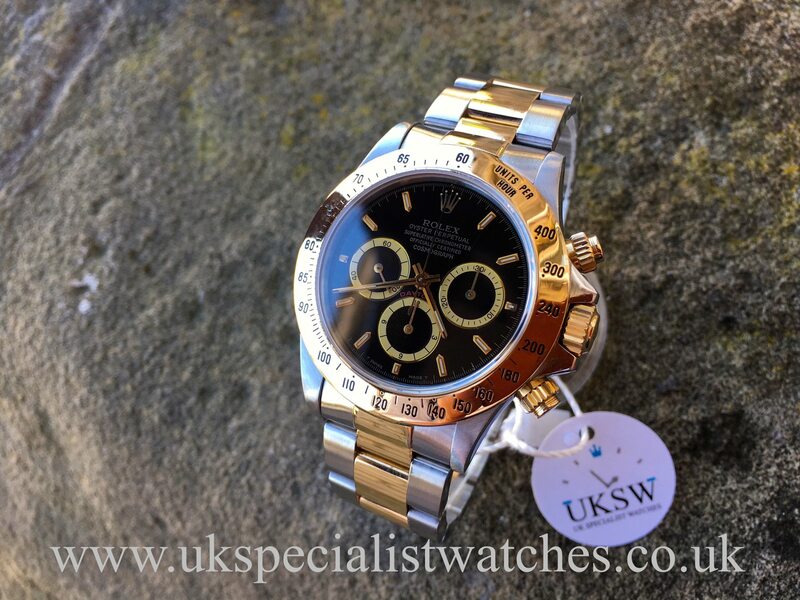 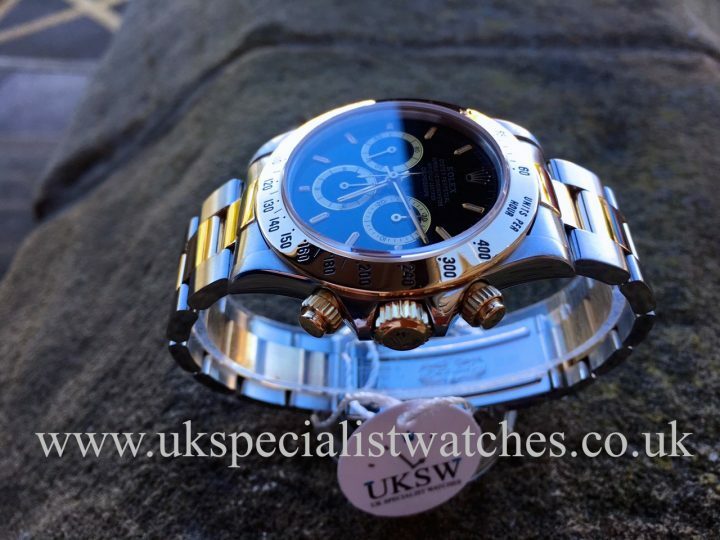 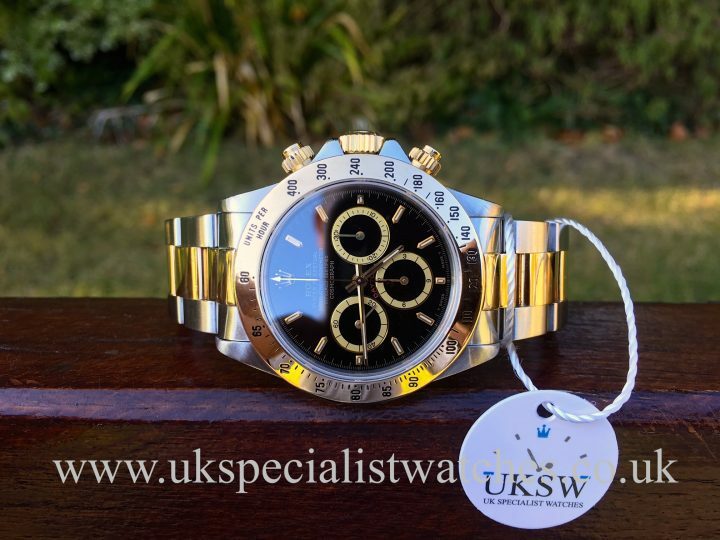 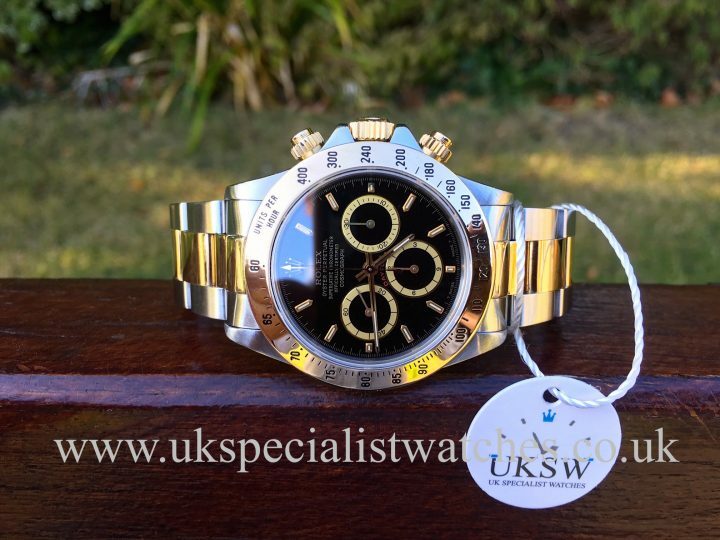 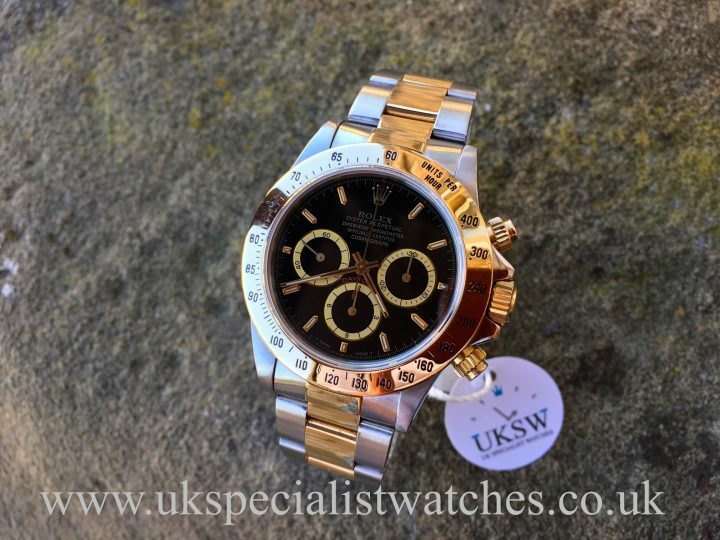 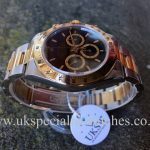 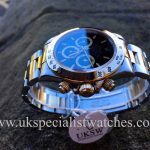 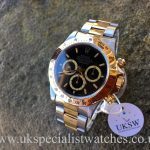 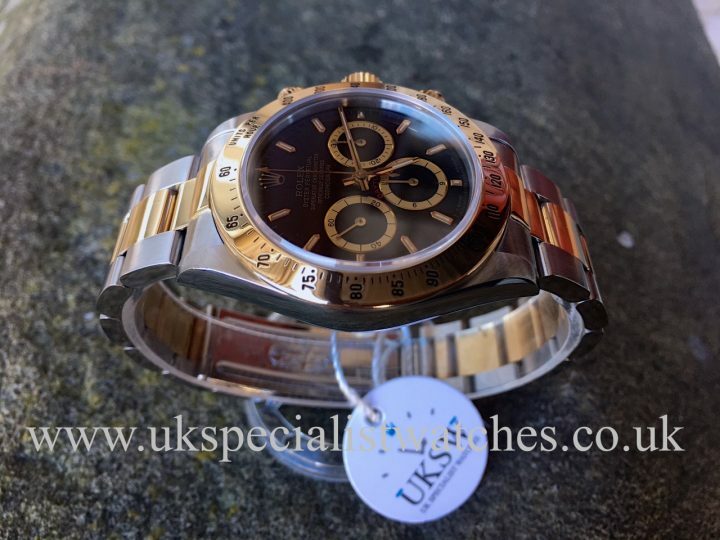 Rolex Daytona Zenith Stainless Steel & 18ct Gold 16523 with the ultra rare inverted “6” dial. 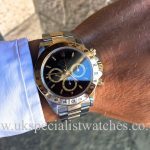 40mm stainless steel & 18ct yellow gold case with a beautiful “inverted 6” black dial showing a gentle patina to the hands and sub dials. 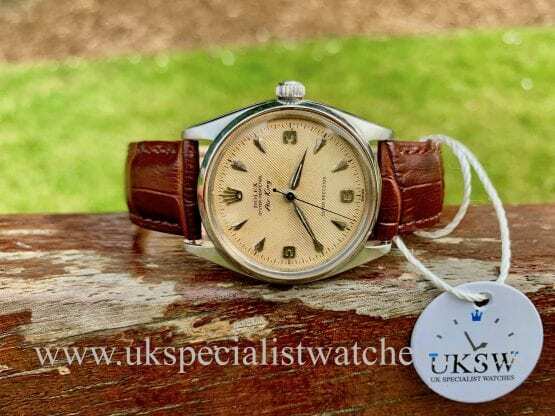 There are many speculations as to why the 6 is inverted (upside down) it is rumoured its because the dial maker was observing the dial from only one perspective, however we know its certainly an extremely rare piece! 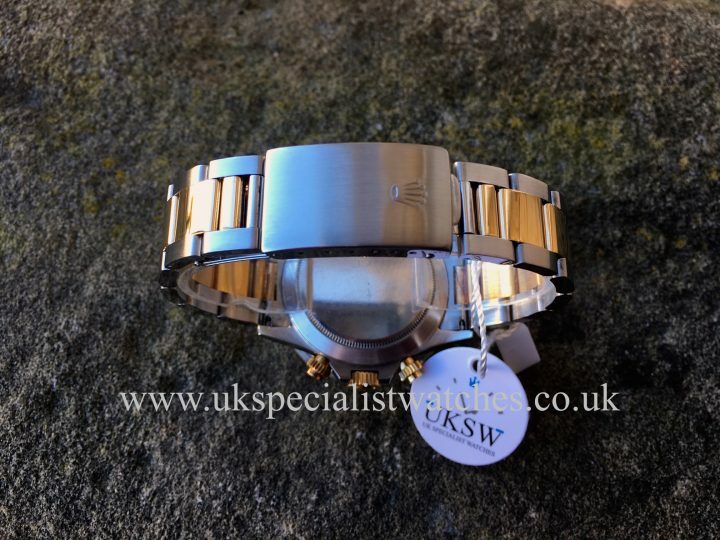 Fitted to a the original stainless steel and 18ct yellow gold oyster bracelet with steel double folding clasp. 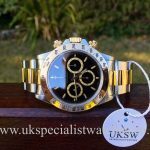 Powered by the rare automatic Zenith Chronograph movement. 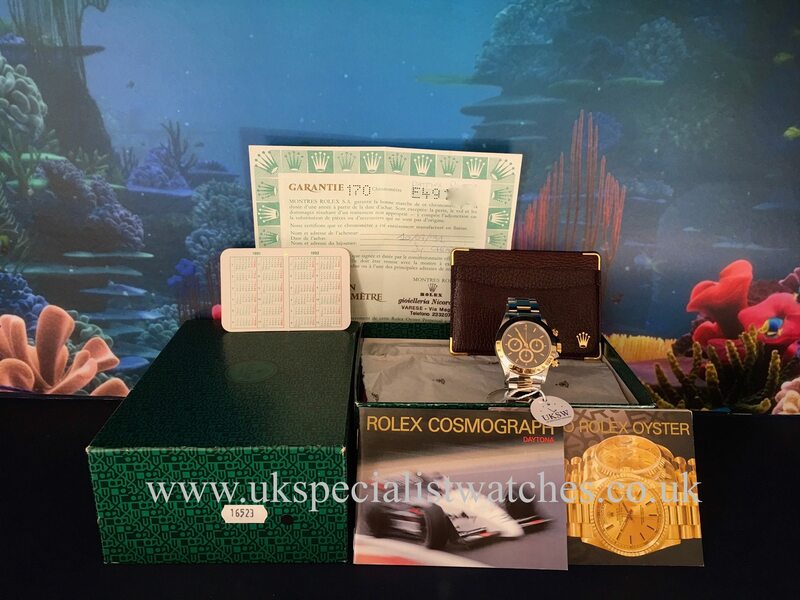 This totally pristine example comes complete with its original boxes (outer box still bears the original 16523 sticker) punched stamped papers, booklets ect. 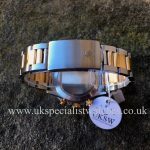 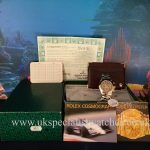 Supplied new in 1991 with serial E491***.